A movie trailer is an advertisement that showcases a preview for an upcoming feature film. 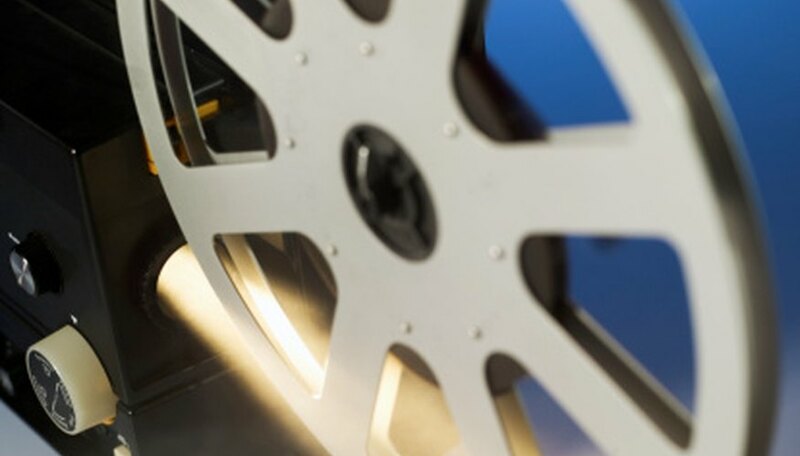 As the Motion Picture Association of America (MPAA) regulations specify that any theatrical trailer for a movie with its affiliation has to been under two and a half minutes in length, knowing how to write an effective trailer that hooks a theater's audience in that amount of time is a vital skill in promoting it. Fortunately, if you follow a few key steps in producing your trailer, you will leave your audience hanging and make them want to come to your film to see what happens. Transcribe your entire film, including scene directions. This will help you identify the sound bites and dialogue that define the thematic elements of your film and the important narrative dialogue that identifies overarching plot elements and motives of the key characters in the film. Choose a quick segment of dialogue or an important scene to put at the end of the trailer to serve as the hook that will pique the interest of the audience. This is the point towards which everything else in your trailer should build up. Choose a scene or sound bite to place at the beginning of the trailer to catch the audience's attention immediately. It should be one that best reveals what the movie is about. Fill in the middle of your trailer with a mix of copy and clips. Start with the copy, a line or statement which reveals the central theme or philosophy of the movie, and follow with clips and sound bites that draw a straight line of thought which reveals the plot, the important characters and the conflict of the movie. The line of thought should build up towards and end with the point you chose in Step 2 and should express the lesson or philosophy that you wish to convey with it. Locate the line of dialogue that best serves as the central thesis of the movie. Make sure it is in your middle section. When you are satisfied with your end product, send it around for comments with the other key people involved with your project. In all likelihood, you will hear something you did not consider before.